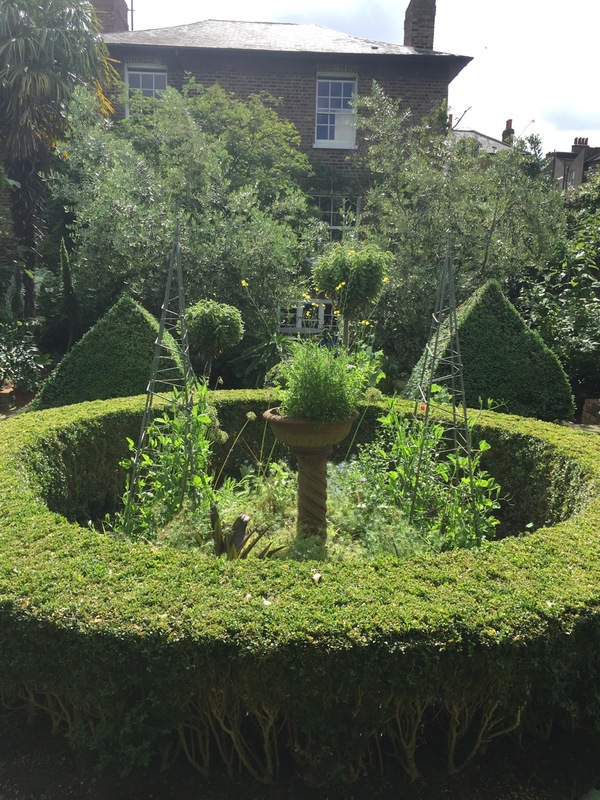 A formal Italian style garden with box hedging, clipped yew and olive trees. 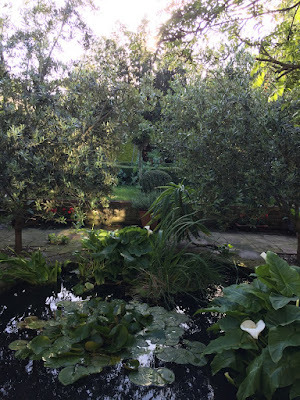 There is a wide variety of plants in the borders and a large circular pond. The garden has been designed and planted by the artist owner and has evolved over 30 years. Other gardens are open in Crooms Hill, Hyde Vale, West Grove, Egerton Drive, Dartmouth Row, Park Row, Park Vista, and Restell Close (Westland Woodlands, off Vanbrugh Hill). The Prior Street allotments are also joining in, and there are one or two more gardens in Charlton and Woolwich.